COLCUEROS has committed staff from the top management and at all levels of the organization to contribute, maintain and care for the environment. COLCUEROS S.A. a company dedicated to transform raw hides to semi-finished hides and conscious of our commitment and responsibility with pollution prevention and the compliance with the applicable environmental regulation and other voluntary commitments subscribed. We develop and implement an Environmental Management System involving every activity and product in the various organizations´ levels, in order to control our environmental issues and prevent pollution. 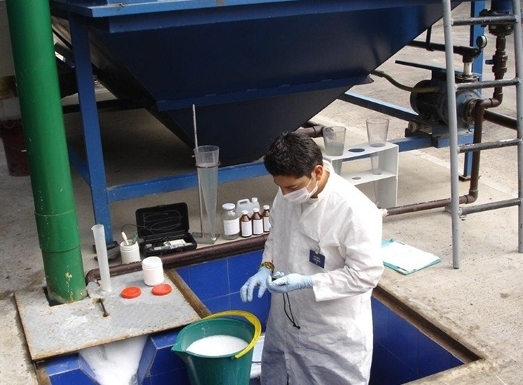 Focused on the continuous improvement of our processes and environmental performance, by programs oriented to: Integral management of solid and liquid wastes, efficient use, water reduction use, power consumption reduction odor control and reduction as a result of the proper implementation process on handling chemical products. Recircualtion of water generated in the process and use of rainwater. Plant for catalytic oxidation of sulfurs. Plant for the treatment of waste water. Treatment system to control odors, gas scrubbing. Improvement in liquid and solid waste management. Reduction and control on odors generated in the process. Proper management of chemical products.